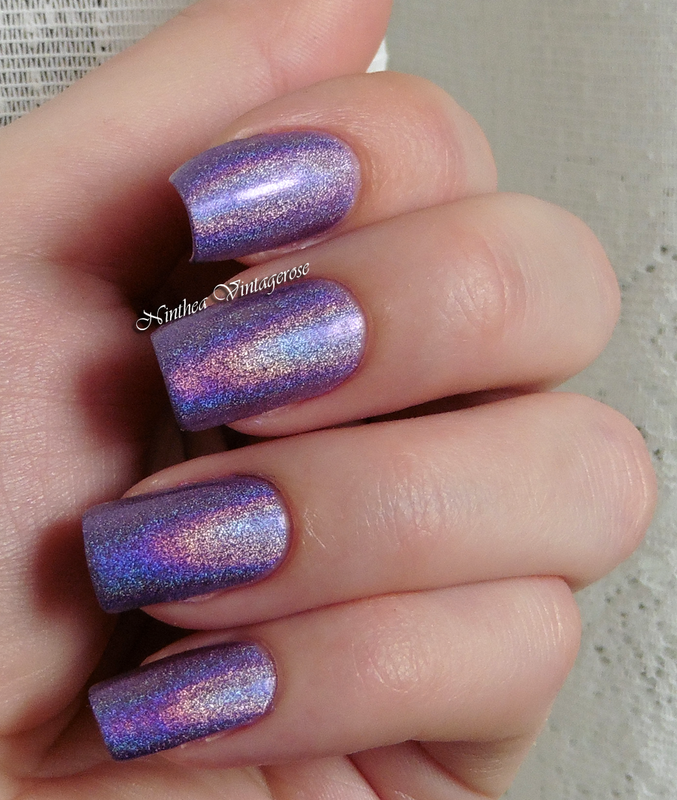 The nail polish that I am wearing is a holo from Layla and it's just beautiful! It is the 04 Ultra violet. I don't know if you will see all his beauty in the pictures but in real life it's amazing! The holographic effect is very strong! 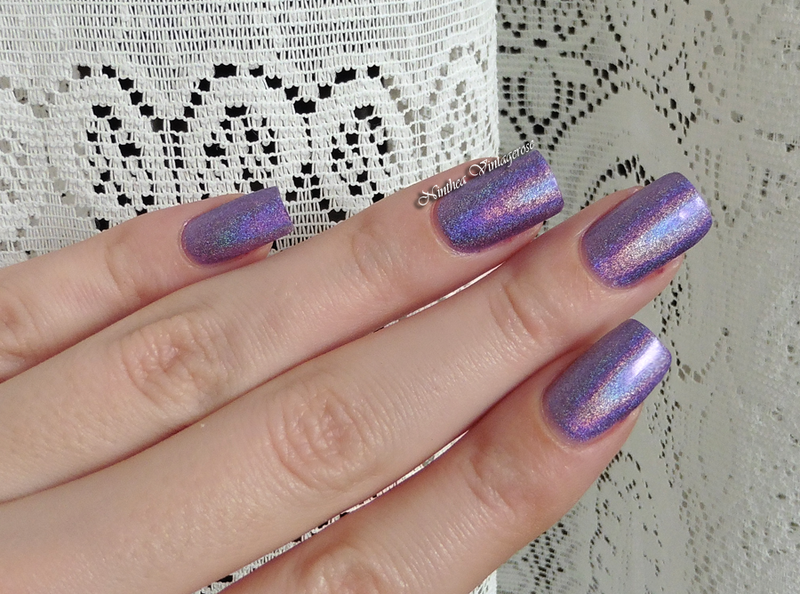 I think I will buy more of those Layla holos if I find them. To thick coats were enough for me to reach a nice coverage. The brush was ok and the application was easy. It lasted well. So here it is the nail art. It's very easy and simple. It's a dotted pattern inspired by Mydesign4you. I liked it very much so I decided to recreate it. Nisi imala problema sa mazanjem? Meni su Layla holosi prekrasni, ali muka za mazanje. Ja nisam imala velikih problema sa ovi lakom..
É muito lindo mesmo..amei tudo. Wonderful holographic effect and color and I like it very much with the cute dot design too! yeah the holo effect is awesome!! Gli smalti holo di Layla sono pazzeschi! Adoro! 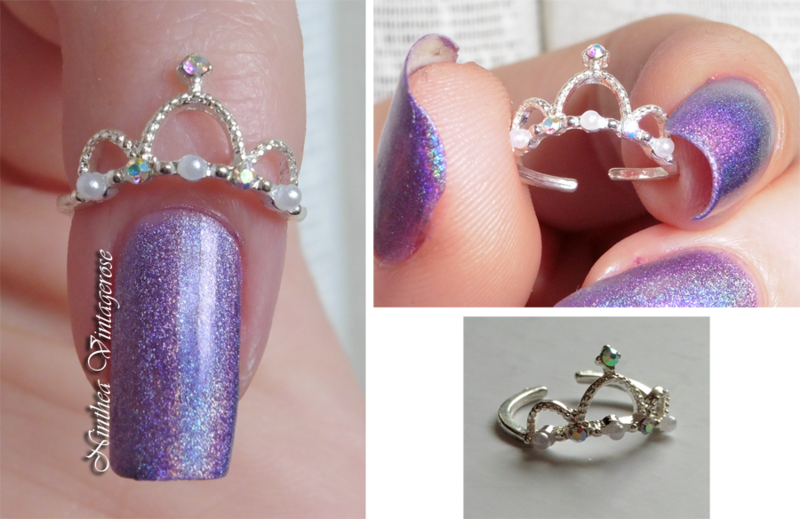 lo smalto è veramente bello!